Located in Krabi, this beachfront hotel is in the city centre and within a 10-minute walk of West Railay Beach, East Railay Beach and Princess Lagoon. Phra Nang Cave is 0.4 mi (0.7 km) away. 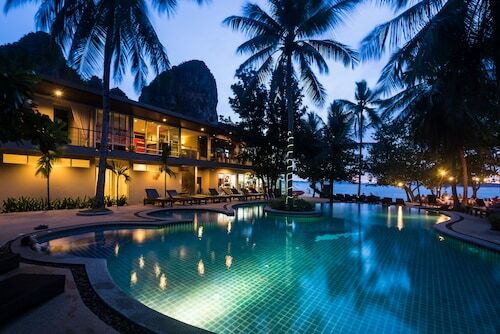 Nestled on the beach, this Krabi hotel is within a 10-minute walk of West Railay Beach and East Railay Beach. Princess Lagoon and Phra Nang Beach are also within 1 mile (2 km). 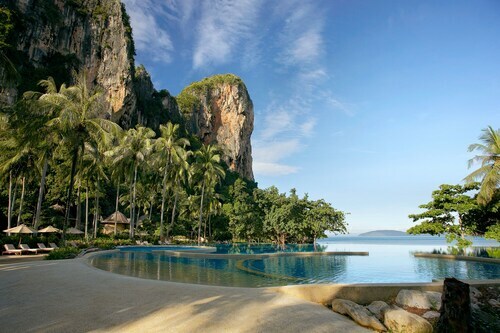 Nestled on the beach, this Krabi resort is within a 5-minute walk of West Railay Beach and East Railay Beach. Princess Lagoon and Phra Nang Beach are also within 1 mile (2 km). 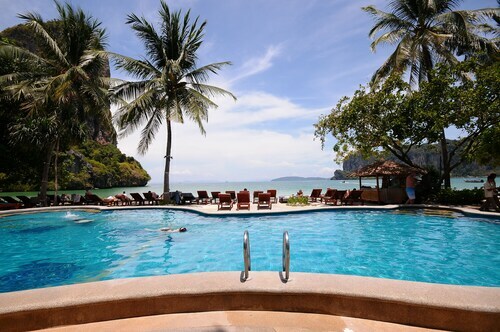 This family-friendly Krabi hotel is located on the Strip, within 1 mi (2 km) of Pai Plong Bay and Ao Nang Beach. Ao Phai Plong and Ao Nang Krabi Boxing Stadium are also within 3 miles (5 km). This family-friendly Krabi resort is located near the beach, within a 15-minute walk of East Railay Beach and West Railay Beach. 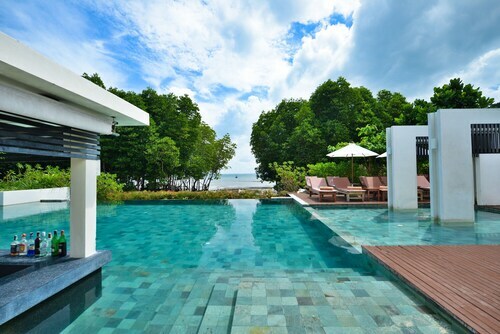 Phra Nang Beach and Princess Lagoon are also within 1 mile (2 km). 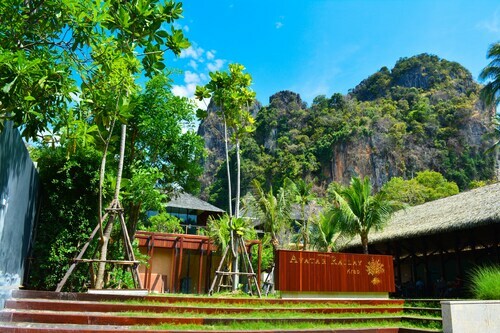 Located in Krabi, this beachfront resort is in a national park and within a 10-minute walk of Pai Plong Bay and Ao Nang Beach. Ao Phai Plong and Ao Nang Krabi Boxing Stadium are also within 3 miles (5 km).